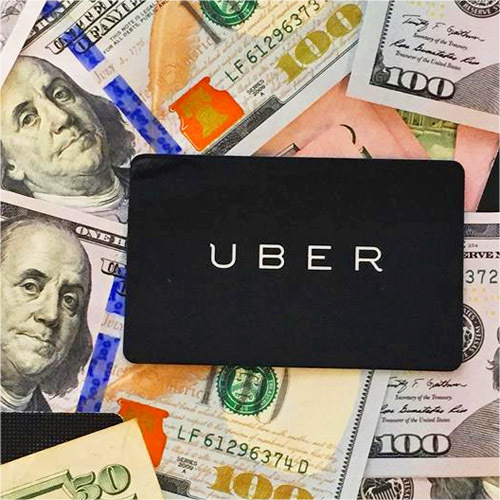 SAN FRANCISCO (CN) – Despite earlier misgivings about the amount, a federal judge granted final approval to a $7.5 million class action settlement between Uber and drivers who claim they were booted from the app based on surreptitious background checks. U.S. District Judge Edward Chen said $7.5 million is just a fraction of what the drivers could have seen had the case gone to trial, where Uber stood to lose between $100 million and $1 billion. “Given these figures, it is clear that $7.5 million is a small fraction of the total potentially at stake,” Chen wrote. While displeased with the comparably low payout, Chen said there were a number of factors that made the case risky for the class, including a recent Ninth Circuit ruling that would have held about 40 percent of its members to a binding arbitration clause. Even more significantly, the judge added, class attorneys had revealed at a hearing in June that the case was weaker than they’d thought at the outset. During discovery, it became clear that Uber had policy of requiring background checks to be disclosed in compliance with the Fair Credit Reporting Act, and Uber showed that it generally followed that policy. Former Uber contractors Mohamed and Gillette sued Uber in November 2014, claiming they were suddenly denied access to the Uber system without reason. Mohamed claimed Uber told him he could no longer drive after two years with the company because the company found new information in his background check, which it never showed him. Chen noted the class of current and former drivers would also have to prove they are employees, not contractors. Chen called this an “obviously a difficult factual question,” given another employment class action currently working its way through the Ninth Circuit in which drivers claim Uber misclassifies them as independent contractors. In the face of these factual and legal stumbling blocks, Chen said he had no choice but to approve the agreement. “Given the overall weakness of their case, the court concludes that the proposed settlement falls within the range of possible approval,” he said. Attorneys for both sides did not respond for email requests for comment by press time.